Based in Malta but offering online casino games to NZ players and beyond, Platinum Play is now considered an industry veteran thanks to more than a decade of solid iGaming experience. However, despite having been around since 2004, this NZ online casino doesn’t feel old. 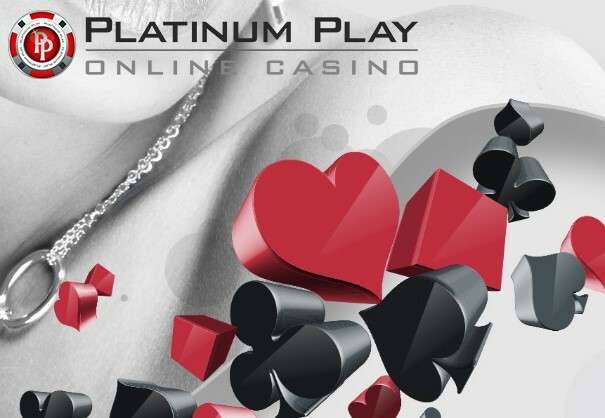 In fact, thanks to continual updates, a longstanding partnership with software supplier Microgaming and a keen focus on shifting trends, Platinum Play still gleams as brightly now as it always has. On top of this, Platinum Play and its parent company, Digimedia, have ensured they have all the right ticks in all the right regulatory boxes. From fully tested and certified as fair casino games to an international iGaming licence from the Malta Gaming Authority, this casino is as secure as it entertaining and that’s kept among the industry’s top players for years. Of course, it’s one thing to say Platinum Play is a great online casino for Kiwis, but it’s another to prove it. Fortunately, we’re here to drop a little bit more knowledge and show you why this site is perfect for players of all skill levels. Platinum Play is old school, which basically means it likes to offer welcome bonuses as they did during the golden age of online casino gaming. Unlike many recent upstarts that give you a smattering of cash and try to make up for it by tacking a ton of free spins onto the deal, Platinum Play has stuck to its principles and still offers as much as NZ$1,000 for new players. Picking your way through these deals is fairly simple thanks to a 40x wagering requirement. OK, so 40x isn’t the lowest playthrough we’ve ever seen. However, the limit is around the industry average and the fact that virtually all slots have a 100% contribution weighting means that most players should be able to clear a bonus within a few days. As we said at the top of our NZ Platinum Play casino review, Microgaming is the preferred software provider at this site. For those in the know, this not only means the software will be safe and 100% fair, but there will be hundreds of ways for you to play. In fact, as you’ll see in a moment, Platinum Play’s selection of games is a notch above the rest for one specific reason. However, before we get into that reason, let’s take a look at what’s on offer and how you can find it. From a structural perspective, this NZ casino site is extremely well laid out both on the instant play Flash site and the downloadable platform. In line with trends, the software is capable of scaling up and down to fit on all screen sizes, while the combination of text and icons in the search bar help to make the site more visually appealing. Another nice touch is the way each game category heading shows the number of games available. Although this might be a minor thing, in reality, the fact you can instantly see how many options a category has can actually help speed up the search process or help you find a new favourite. Finally, inside each game box, you’ll see a mobile phone icon that tells you if a game is available for iOS and Android as well as a heart symbol that allows you to “favourite” a game and save it for later. In terms of the actual options available, Platinum Play covers all the main bases in terms of casino games. From 340+ slots, 16 progressives, 64 table games, scratchcards and casual games, there’s something for everyone. In fact, with free play options and most games accepting bets from as little as NZ$0.10, everyone has the chance to ante up and have some fun. However, as impressive as all of this is, the reason Platinum Play really shines is its casino tournaments. Something of a rarity in the industry, these slot competitions are not only hugely entertaining, but potentially lucrative. From daily freerolls, from the 24H Wins Friday Sizzler with NZ$500 up for grabs to the NZ$25,000 Monthly Monster, this section of the site is bursting with action and something that helps to give this casino the edge over its peers. Platinum Play doesn’t have a dedicated mobile app for iOS, Android or Windows Phones, but that doesn’t mean you can’t game on the go. Through a combination of in-house engineering and Microgaming’s mobile software options, you can play more than 70% of this operator’s casino games via your mobile or tablet. What’s more, because you’re using a mobile site instead of a native app, you don’t have to worry about making separate deposits or using multiple login credentials. Anything you do on your mobile will be registered on your desktop account and vice versa. Moreover, you only need one username and password to play across all of Platinum Play’s platforms. So, whether you download the desktop app, enjoy some instant play action or place a few bets via your mobile, everything should look and feel the same. All deposits at Platinum Play are processed instantly and every transaction you make will be protected by the highest rated SSL encryption methods. Additionally, thanks to the regulatory oversight of the Malta Gambling Commission, your funds will always be held securely, so you don’t have to worry about the safety of your bankroll. When it comes to withdrawals, the average processing time for Visa and MasterCard is between two and five days, while withdrawals with eWallets such as Skrill and Neteller are typically completed within 24 hours. Another useful payment option for Kiwi players is NeoSurf. Although you won’t be able to use this method for withdrawals, the prepaid card does make depositing simple, safe and extremely quick. Before we leave you to ponder the virtues of Platinum Play and all it has to offer, we want to give you an overview of how you can get more for your time online. Sure, the casino has plenty of gaming options and a nice golden hello in the form of five welcome bonuses when you join, but what do you get for being a loyal customer? Well, in this instance, you get the chance to unlock bonuses and exchange points for cash using the Platinum Play VIP scheme. Based on a bets-for-points dynamic that allows you to move through various tiers, the loyalty scheme is a great way to get some extra cash for doing what you’d be doing anyway. Silver: Starting level where you’ll get 2,500 points for making your first deposit. Gold: Earn at least 10,000 reward points in a single month. Platinum: Earn at least 25,000 reward points in a single month. Diamond: Earn at least 75,000 reward points in a single month. By the time you hit the 5,000 point mark, you can start exchanging points to dollars at a rate of NZ$1 per 1,000 points. Once you’ve picked up these cash rewards, you can effectively play any of Platinum Play’s games for free but still win real money. Platinum Play has been in the game a long time and that means it knows how to run a slick operation. At every level of the site, you’ll see that there’s something for players of all skill levels. Whether it’s the easy to use interface, the daily slot tournaments offering major prizepools or the loyalty scheme, this NZ casino has something for everyone. In fact, even after 10+ years of service, this site still shines as brightly as it did the day it first launched.